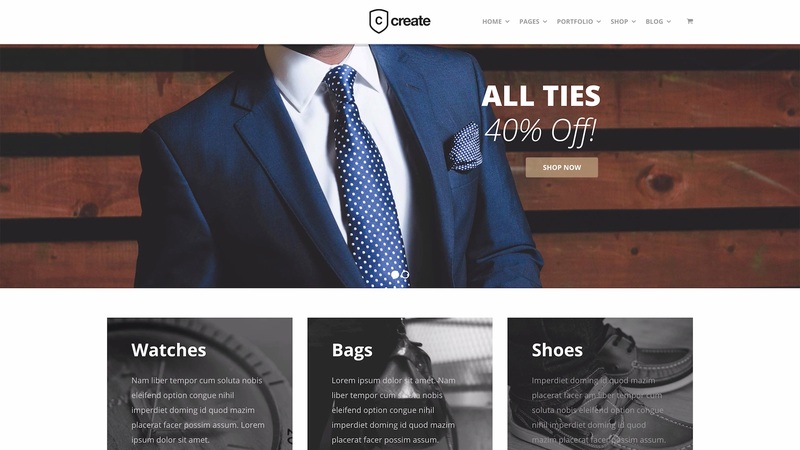 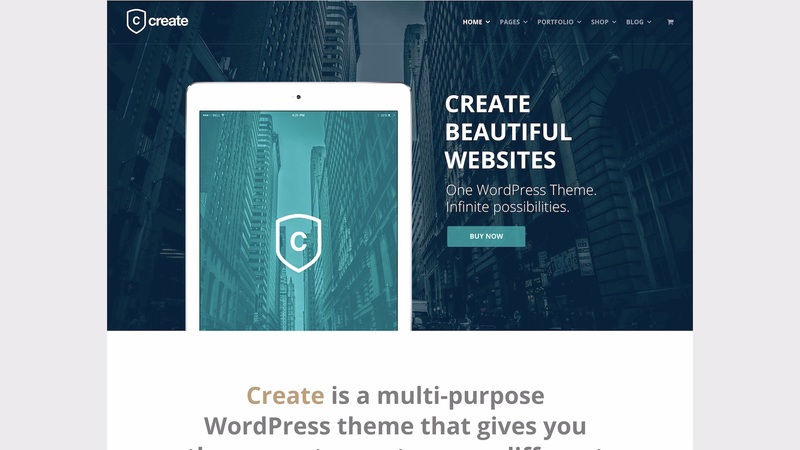 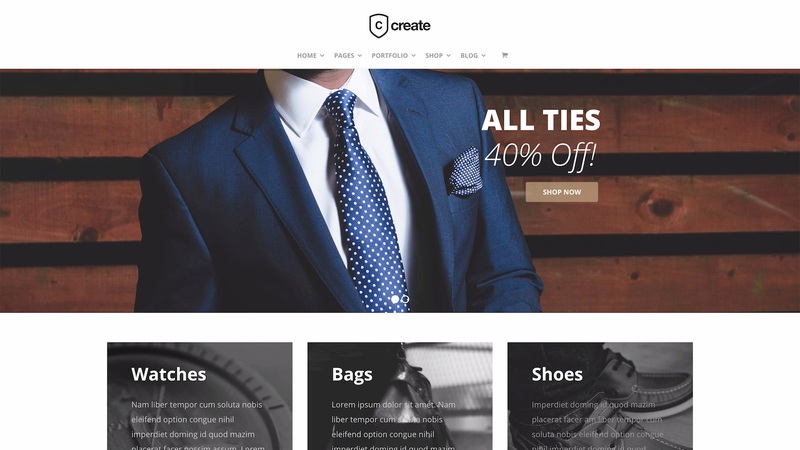 Create is a highly customizable, responsive WordPress theme from ThemeTrust, offering an extensive list of features. 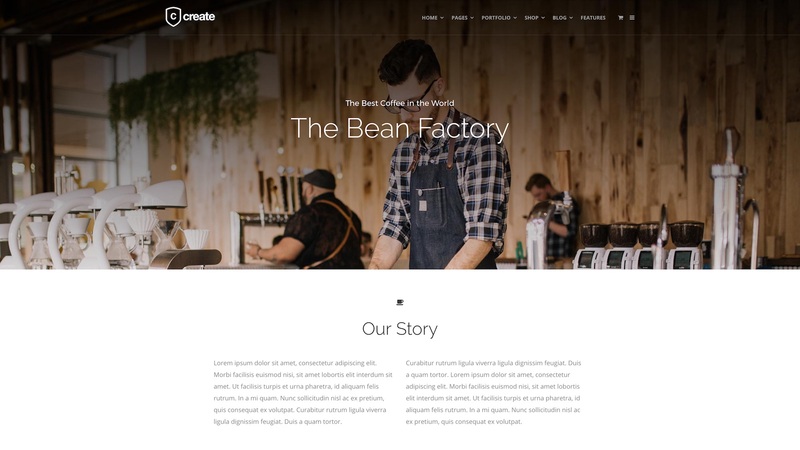 Combine Creates structural flexibility with a host of colour options, individual page, post and project settings, and your favourite Google fonts for maximum flexibility when creating your perfect website. 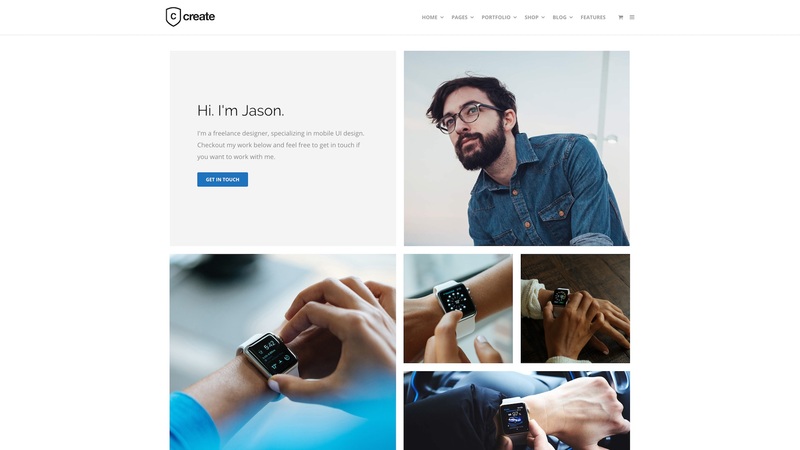 Create’s demo content, also includes about us pages, contact pages, portfolio pages and more. 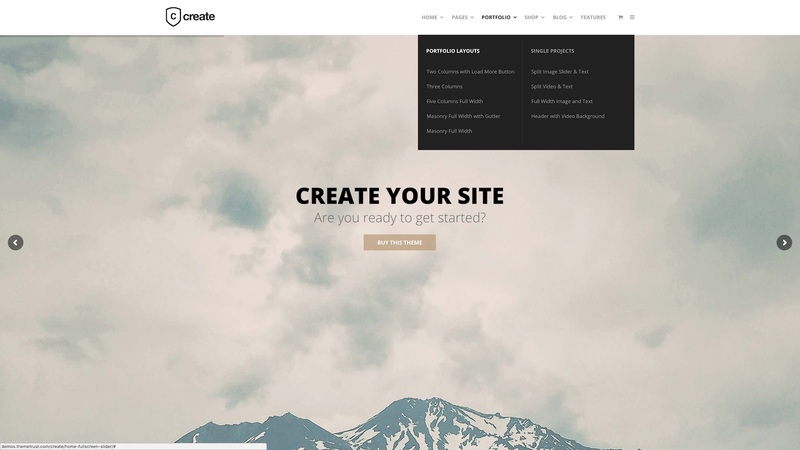 Create is built around SiteOrigin Page Builder, offering you maximum control over your page layouts and content creation. 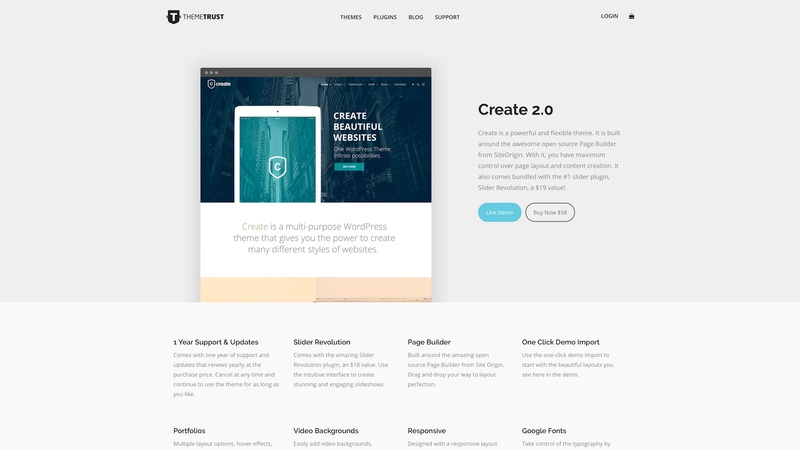 Create comes packaged with Slider Revolution (a standalone plugin valued at $25) for creating beautiful, image and video sliders, to engage your audience. 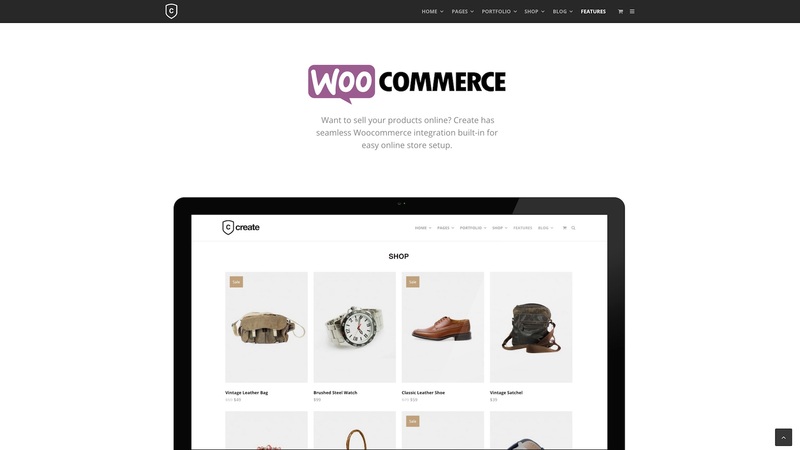 For customers looking to jumpstart their online shopping platform, Create offers seamless Woocommerce integration for easy online store setup. 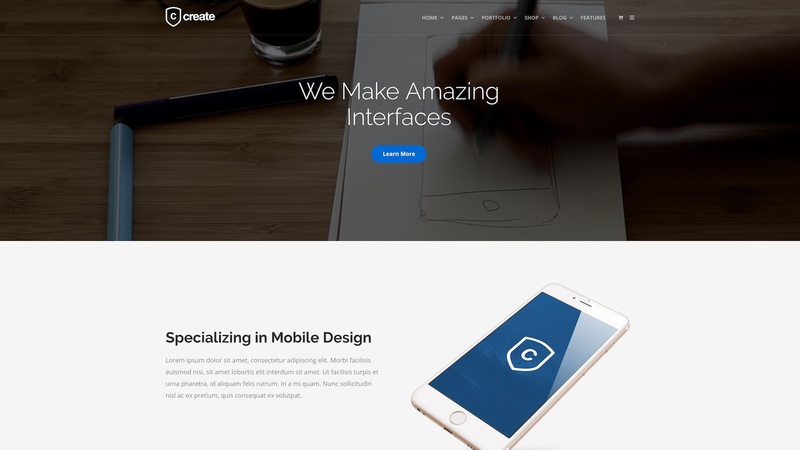 The standard licence costs $58 and includes one year of Support and Updates. 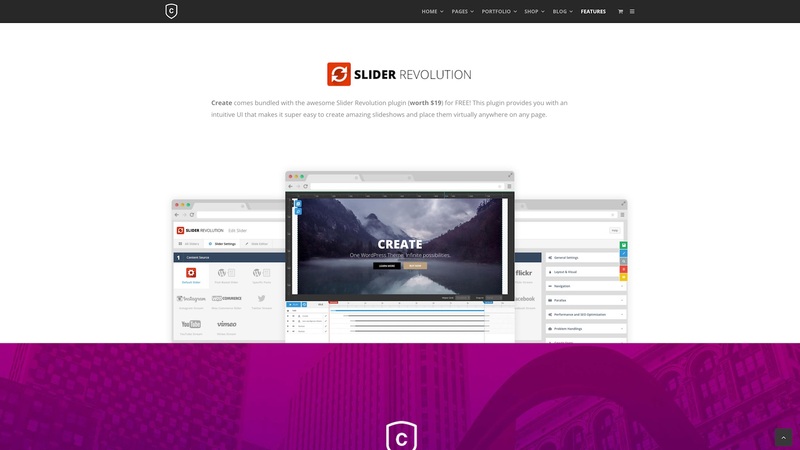 With the added value of $25 offered by Slider Revolution, you effectively pay only $33. 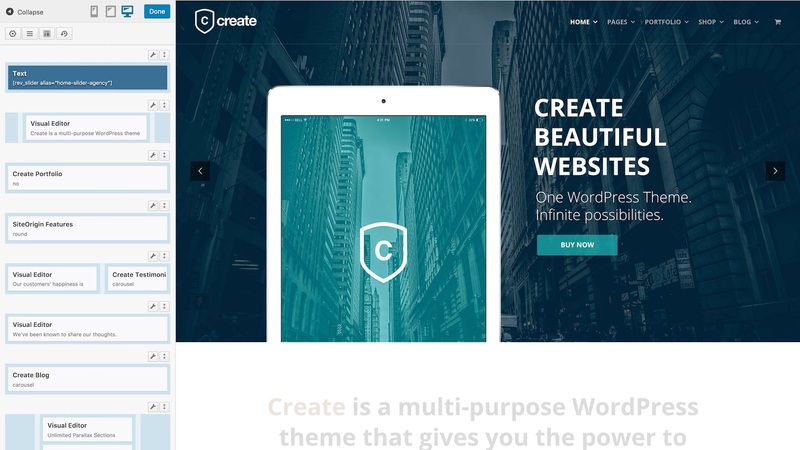 And that’s Create, by ThemeTrust. 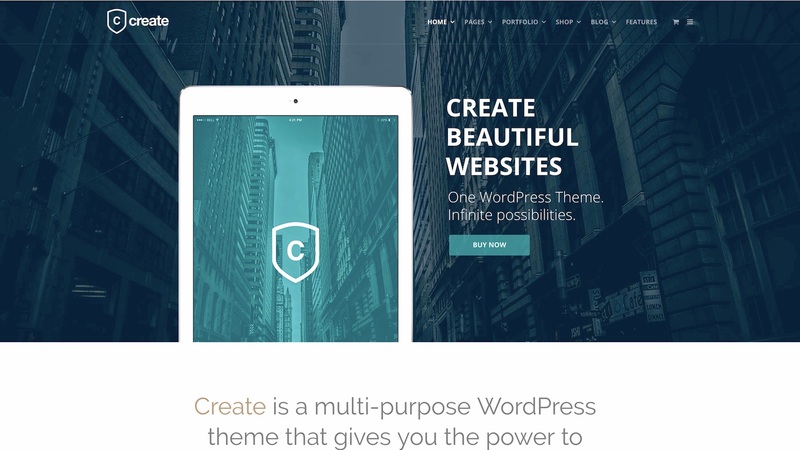 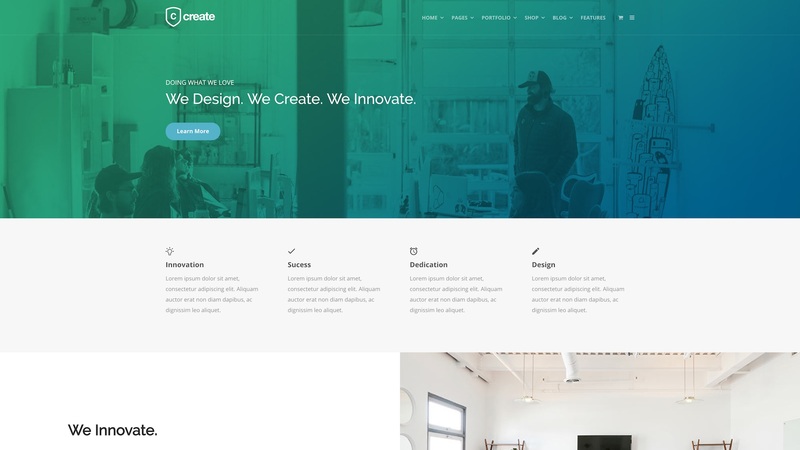 A powerful and flexible theme perfect for creating your own professional website.